The 36" Reusable Cavity Wand features a durable 360° spray tip to get in to hard to reach areas. This Cavity Wand attaches to the Cavity Coater Aerosol Can and is easy to clean and is engineered to require only an 1/4" hole eliminating the need to drill new holes. I understand that this is for the Cavity Wand ONLY and does not include the Cavity Coater. NOTE: Although included in the picture, Cavity Coater Aerosol is NOT INCLUDED and can be purchased HERE. The 36" Reusable Cavity Wand features a durable 360 degree spray tip for complete coverage. 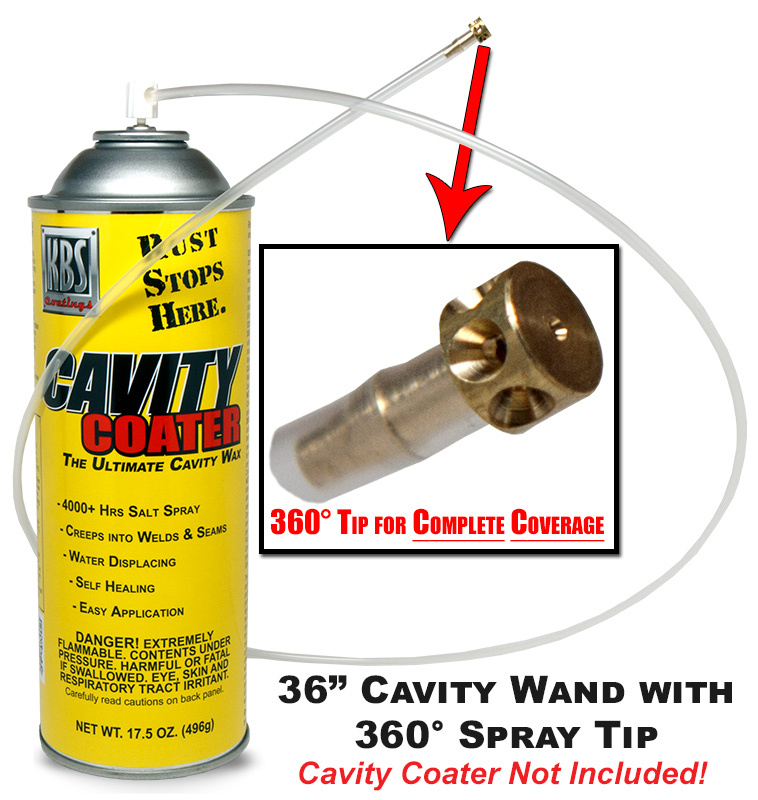 The 36" Reusable Cavity Wand easily attaches to the Cavity Coater Aerosol Can. The 36" Reusable Cavity Wand makes it easy to get in to hard to reach areas. The 36" Reusable Cavity Wand was engineered to require only an 1/4" hole eliminating the need to drill new holes. Durable 360 degree spray tip for complete and total coverage. Easily attaches to the Cavity Coater Aerosol Can. Easy to clean. Easy to flush out. It is a simple product but it works really well. The tip is great spraying in all directions making me confident that all areas are coated. The tip sprays nicely in all directions. Good product. Highly recommend. Q: What is the diameter of the 360 degree spray tip? A: The brass spray tip is 1.4" or 250 mils. 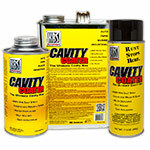 Cavity Coater is the Perfect Solution for hard to reach areas that are prone to rusting! Cavity Coater is a single step, super-penetrating corrosion inhibiting coating (CIC) designed for long term protection on all metal surfaces. KBS Cavity Coater provides a self healing film which provides insane rust protection on hard to reach areas. KBS Klean is a concentrated, water-based, biodegradable formula that is an excellent alternative to flammable solvents and hazardous chemicals. KBS Klean prepares your paint job with a clean surface. 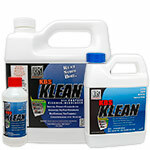 Try some today and see why customers say ...it's not really clean until it's KBS Klean'd!